Credit card details are required for reservations. However, no payment will be taken from your credit card until the day of departure. Collection and storage of sensitive credit card information is done via a secure server (SSL). 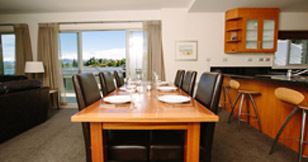 Cancellations with less notice or non-arrival will incur a minimum charge of one full night’s tariff. No-shows incur a cost of a minimum of the first night’s accommodation. One infant under two years stays free of charge in an infant’s cot. Children over two years are charged adult rate. 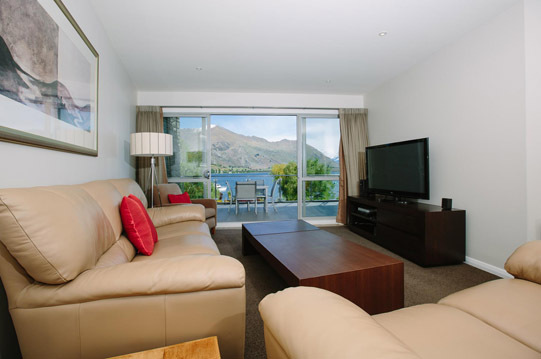 One child is charged NZD 45 per person per night in an extra rollaway bed in the lounge area – Premier Apartments only. The maximum number of extra beds/infant’s cots permitted in an apartment is one. Any type of extra bed or infant’s cot is upon request and needs to be confirmed by management. One extra person can be accommodated in an extra rollaway bed in the lounge area in a three bedroom Premier apartment, subject to additional guest charge. The maximum number of extra beds/infant’s cots permitted in an apartment is one. Any type of extra bed or infant’s cot is upon request and needs to be confirmed by management. 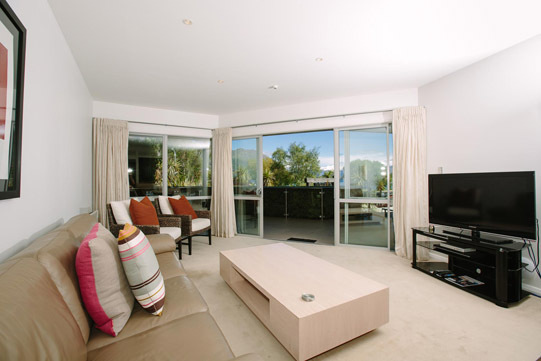 Three night minimum for guest stays between 23rd December and 7th January. Two night minimum for guest stays during Chinese New Year period. 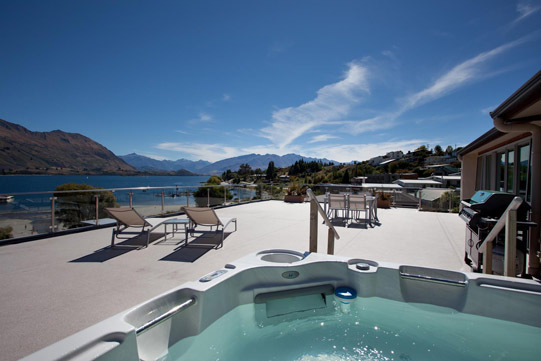 Four night minimum and three bedroom minimum for guest stays during Warbirds over Wanaka biennial Easter event.